Manchester, Liverpool, Birmingham, London,... Bristol, a city on a scrap of paper pulled randomly from a tobacco tin. Two hundred miles south in a rusting wreck, a bedsit, some dead end jobs and the nights spent spinning songs out of the debris. Pop Groups and art school bands poetting in Chapel halls on the well heeled slopes of Slave City. 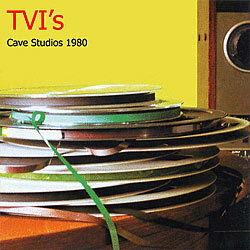 TVi's, style less, spinning anger and isolation into a web of words and jabby guitar slashes - some early promise while the rage ripped hard and then the softening of the underbelly, seduced by the dreams of dollars and deals.